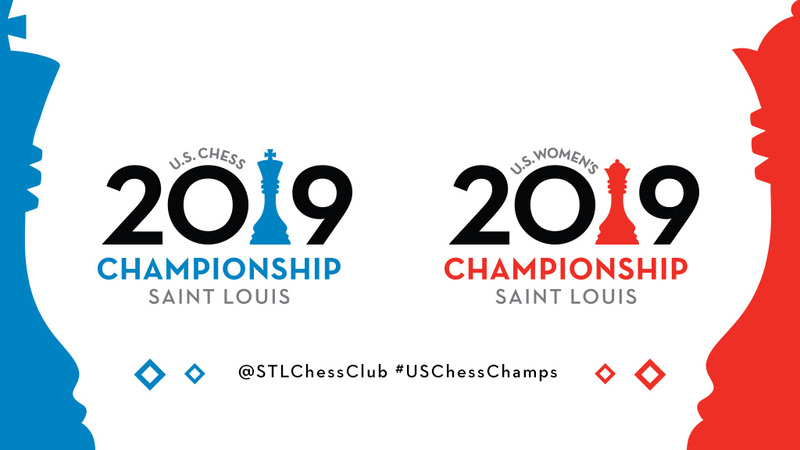 The U.S. Championships are quickly approaching their respective conclusions, and the battle for the title couldn’t get more exciting. The favorites are maintaining a blistering pace in both sections, and the final two days are simply going to be some of the most exciting ones in recent history. In the open section, all the 2700 club members won, and the situation at the top of the standings hasn’t changed. 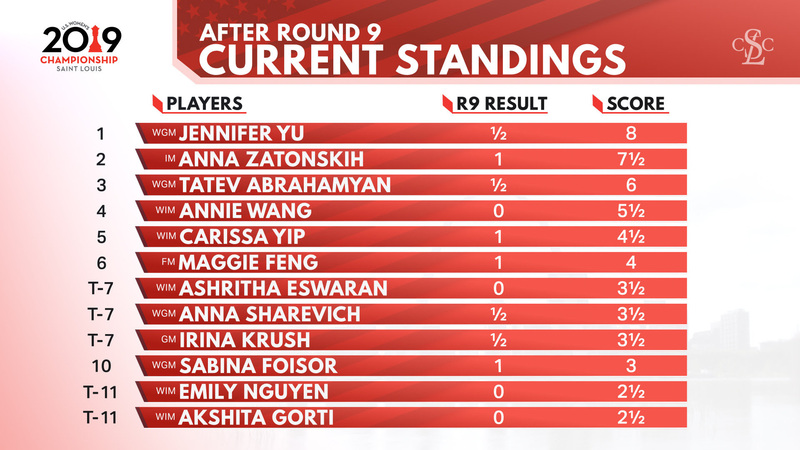 In the women’s section, Jennifer Yu once again pulled a rabbit out of her hat and survived a very difficult position against Abrahamyan. 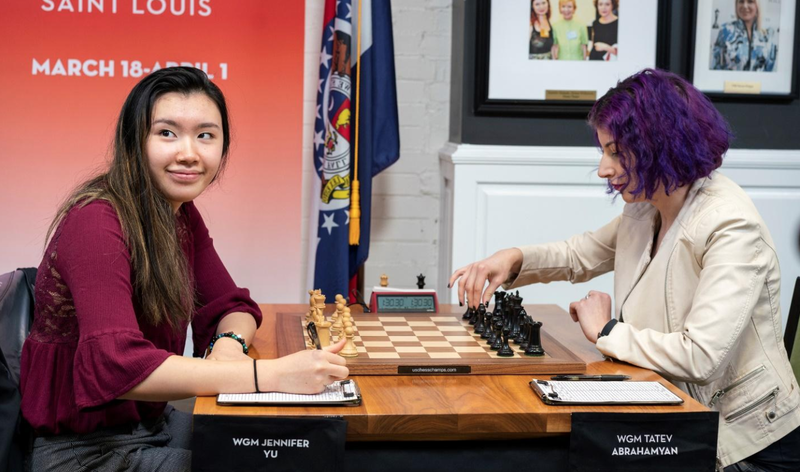 This opened the door for Zatonskih to cut Yu’s lead by half a point, and she delivered with precision in her game against Wang. Let’s take a closer look at all the exciting games in this round! 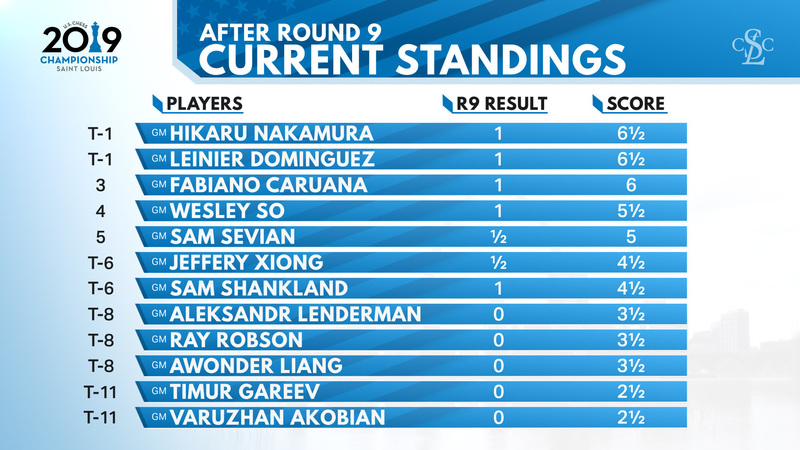 Nakamura has simply been on a roll this tournament. His decision-making process has been at its best, and in this game, it was no different. From the pre-game strategy to the execution, everything worked perfectly for the 4-time champion. Playing the Dragon against a fighter such as Robson is never an easy decision, the outcome can be very somber if you make one mistake. 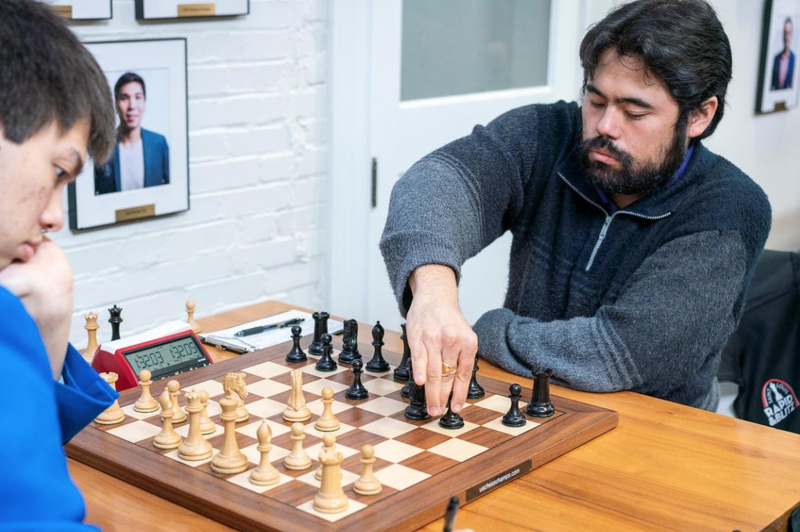 Nakamura chose to employ this aggressive opening due to Leinier’s “easier” pairing schedule, a decision that proved to be very precise. Let’s see what happened (analysis available online)! The co-leader, Dominguez, has been having a dream comeback tournament. You would never guess that he has been absent from classical chess for two years, the way he plays feels more like he is just now reaching his peak potential. His opening knowledge is giving him the edge almost every single game and his middle game and endgame mastery helps him finish the job. This was the case in this important matchup, as he uncorked a strong novelty with 15.Nc6!? Liang’s response was more than optimal, and he managed to equalize with a sequence of precise moves. But just as it happened in previous games, Dominguez’s middle game pressure paid off when Liang played the impatient 24…Nc5 overlooking the natural 25.Be3! 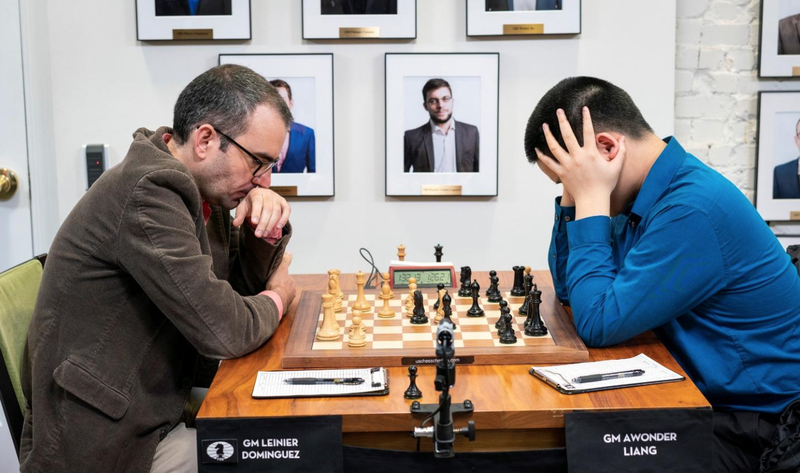 The ensuing endgame was much better for White and Dominguez never really allowed Liang to fully get back into the game. Another important victory, as Dominguez continues to maintain the pace and goes into the championship rounds as the favorite to win the event. Today’s clash with Nakamura will be weighing heavy! Caruana knew that out of his last 3 games, a score of 2.5p would be necessary to *likely* get into a tiebreak situation. 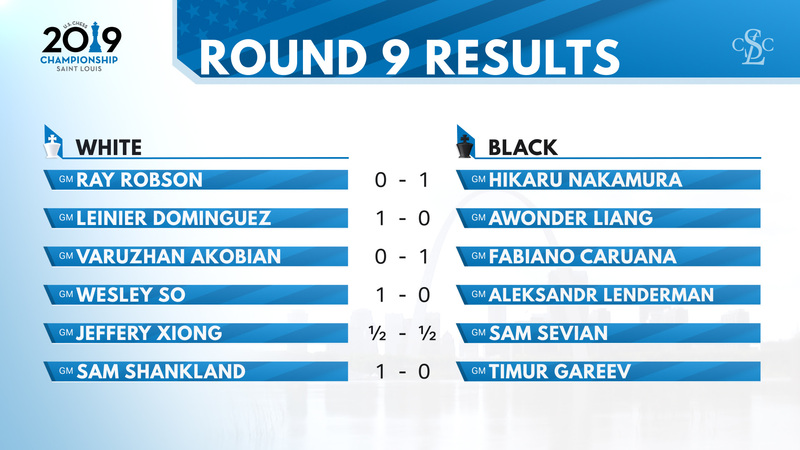 His last round with the black pieces against Sam Shankland can’t be a must win situation, as that would be a tall order for any player in the world. He knew he must make the best out of his games against the off-form Akobian and Lenderman. His opening was a Dutch, an unexpected yet practical approach. His decision paid off handsomely when Akobian was unable to maintain the grips on the position and started erring badly early in the middle game. By move 20, Akobian’s position was already in shambles. 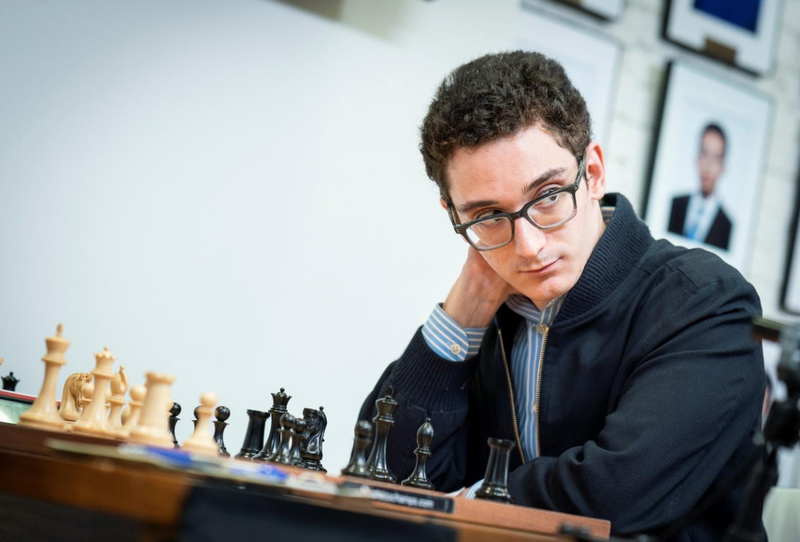 Despite some slight hiccups along the way, Caruana finished the job and forced resignation at move 49. So was in a similar position with Fabiano. He is trailing the leaders by half a point and needs to win at least 2 out of his last 3 games to even hope for the title. Lenderman has been struggling this tournament, as he has yet to win a single game. The opening couldn’t have gone any better for Wesley, who built a serious advantage on the kingside. It looked as if he would get the job done quickly, but Lenderman’s resilience paid off when Wesley started doubting his attack and went for the slow 29.Rhg1-Qd2 maneuver. Instead, the more aggressive 29.Rxg5! would have ended the game with ease. Despite his miss, Wesley was simply the better player and outplayed Lenderman once again in the ensuing complications. He continues to maintain the pace with the leaders and will now have to win at least one more in the last two games. This was surely the most critical game of the round, as a win by Abrahamyan would have relaunched the tournament for both herself and the winner of the other big match, Wang vs Zatonskih. Yu played a Nimzo that she used in the past but failed to come up with any new ideas and Abrahamyan swiftly took the initiative. Yu’s cynical 12.dxe5?! was clearly the objectively inferior move, nevertheless given the tournament situation, forcing the endgame seemed like a sensible, practical decision. Abrahamyan must have had mixed feelings about the outcome of the opening, as she only got the better side of an equal endgame. 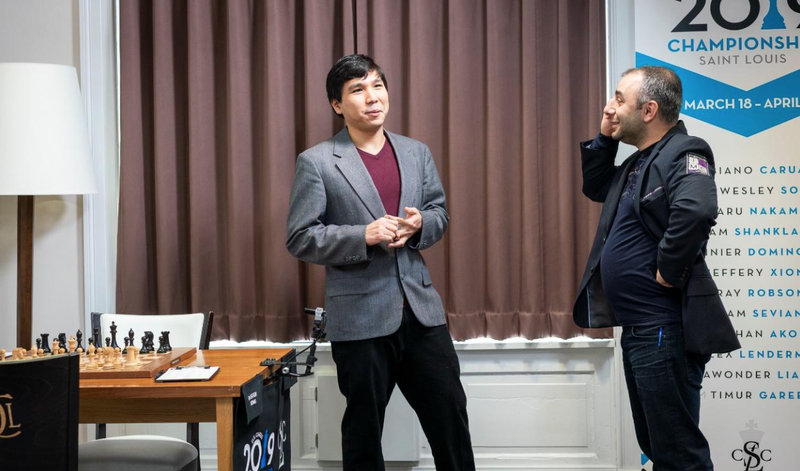 Through grit and determination, Abrahamyan managed to outplay Yu and induce the mistake. Yu’s 27.Nb3? was a blunder; luckily for Yu, even the ensuing endgame was a very difficult conversion task. Abrahamyan returned the favor right before the time control with 40…Rac5? This simply gave the pawn away as well as any hopes for a victory. The players agreed to a draw at move 49. Trailing by one point, Zatonskih knew that she must take some risks in her matchup against the solid Wang. Let’s see what happened in the game, as GM Boros once again provides the full analysis (available online)!